This week I had the chance to help with lighting and song words with a big event in Manchester. 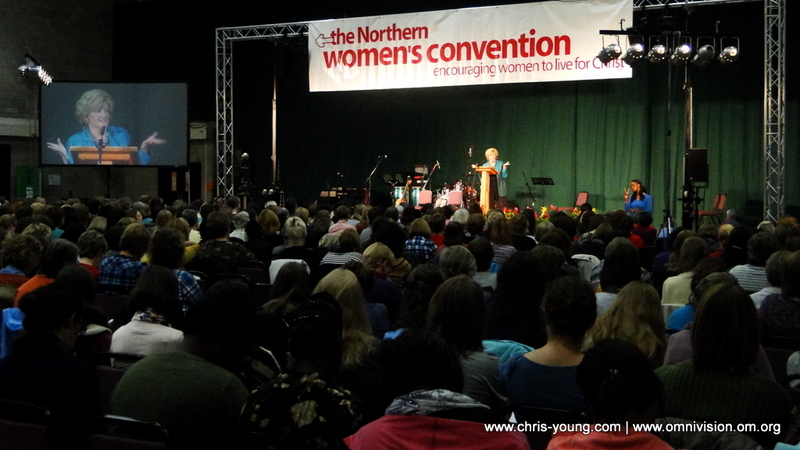 The event was the Northern Women’s Convention and it had around a thousand delegates. We were to provide the lighting, the cameras and the song words while another company did the sound. OmniVision has a big bus that has been converted with lots of television equipment inside. We took this bus down to Manchester and set it up outside the hall. 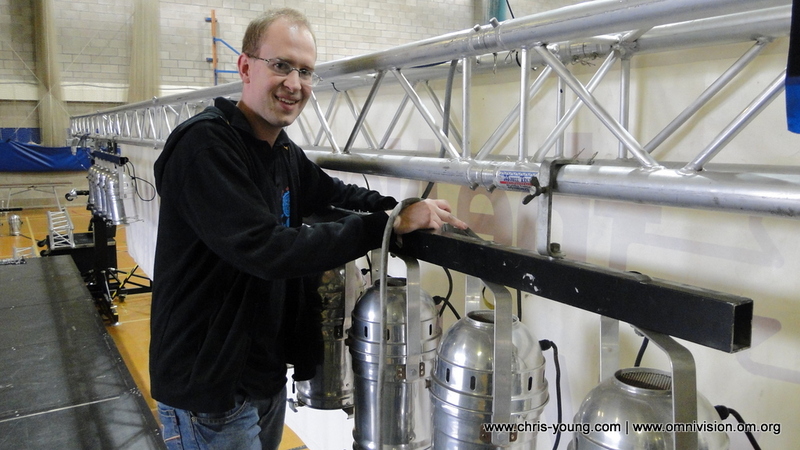 I have set up similar equipment in my time on the ship so I was able to jump right in and set up all the lighting equipment on the set up day. This took a lot of the pressure off the person in charge of set-up. We worked until late in the night finishing everything off. I also helped set up some TVs on the stage so the worship team could read the lyrics. The event went for the whole day on Saturday. My job was to choose appropriate background video loops to put behind the song words and to put up slides. Someone else did the actual song words. I was really happy to be a part of the programme and to see what they do in the bus. During one of the breaks I was allowed to have a play with one of the cameras so the video director could see if I was any good. I think I did OK at it. Live Audio/Visual has always been a passion of mine, and it was a huge blessing first to be able to be a part of AV on the ship for two years, and before that in church for a long time and now to experience it on a larger scale here in England. I would really like to return here to do this some more.